Male OB-GYN residents are rare. Is that a problem? The gender that once dominated the field is now considered at some schools a diversity hire. “I don’t know what I’d do without it, you know? It’s another limb. I always know where it is,” she says, laughing. 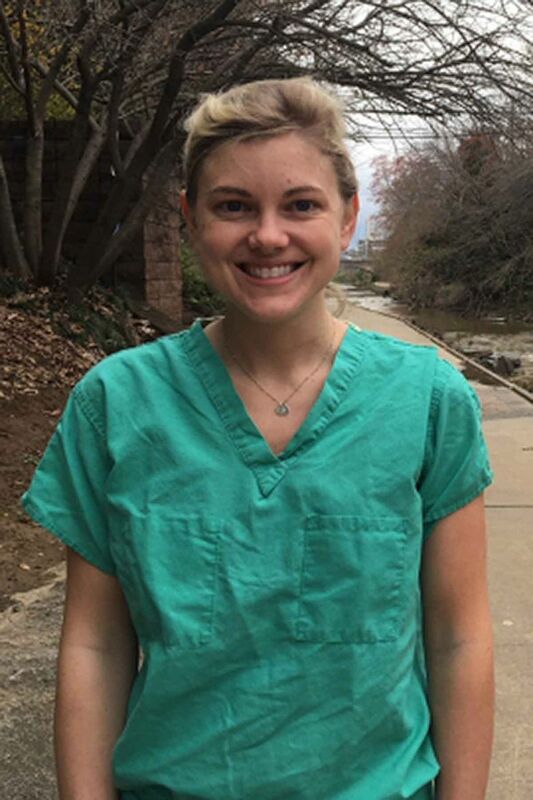 The third-year resident in obstetrics and gynecology at the Carolinas Medical Center hospital in Charlotte, North Carolina, works in a medical specialty dominated by women, treating women. She feels a special connection to her patients, Merriam says. “You just, you can feel what they feel and understand why they feel certain ways. I do feel a special bond,” she says. Nationally, 82 percent of doctors matching into OB-GYN residency programs are women. Many OB-GYN patients say they prefer female doctors. Merriam’s residency class is a bit of an anomaly — half of its members are men. Though it’s nice to work with so many women, Merriam says, she and some of her female colleagues also like the perspective that men bring to the work environment. “No one could really pinpoint about what balance they bring, but there’s something nice about having them,” she says. It’s important to have men in the field, she says, if only to continue to give patients options in their choice of providers. But most of her friends and other women she talks to, she says, want female doctors. Blake Butterworth, a fourth-year obstetrics and gynecology resident at the Medical University of South Carolina in Charleston, says he doesn’t take it personally when he hears that sort of thing from a patient. He’s one of only two male residents in the program of 24 at MUSC and says he finds it rewarding when he can win a new patient’s confidence. Butterworth says he chose obstetrics and gynecology because it lets him develop long-term relationships with patients — providing routine OB-GYN care and more complicated surgeries, if need be. “Once you really get into it, and get involved in it, I don’t think that bias (that the field is best left to women) holds true,” he says. Butterworth says he believes it is incumbent on male OB-GYNs to talk to male medical students about the benefits of having men in the field. Students need to know it’s OK to have an interest in the field, he says, and that they will find work. It has been a challenge to find male OB-GYNs for the program, she says. The gender that at one time dominated the field is now at some schools considered a diversity hire. But Savage questions whether balancing the number of men and women in the specialty is as important as racial or ethnic diversity. A study published last fall found that women are underrepresented in leadership roles in medical school departments of obstetrics and gynecology throughout the country. That ratio was most lopsided in men’s favor in the southern part of the United States. It’s perhaps only a matter of time before that, too, changes. Savage says she recently learned that her program’s incoming class of OB-GYN residents next year will be all female.